It’s finally here and we can’t wait to share all the details! 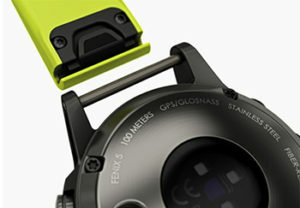 With the announcement of the new f?nix 5 this new year, a lot of people are wondering what’s changed with the next generation GPS multisport watch? Well, there’s quite a bit that’s new and we’re more than ready to talk about the major changes with the f?nix 5. 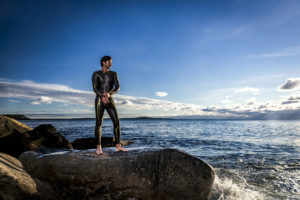 Athletes and adventurers come in all sizes. That’s why the f?nix 5 series offers multiple models that vary in size to fit every wrist and every workout. Each version offers a variety of stainless steel finishes, watch band combinations, and premium feature sets to give you the look, performance, and lightweight comfort to match both your aesthetic and athletic interests. The series includes the f?nix 5X (51mm), f?nix 5 (47mm), and f?nix 5S (42mm). The next generation f?nix also has a selection of QuickFit bands with your choice of premium leather, metal or silicone makes it easy to mix and match styles to go with any sport or activity. No tools are required to make the transformation. Just swap, click and go. Golf mode gives you yardage to the front, back and middle of the green for any single course you’ve downloaded from Garmin Connect – and also adds enhancements such as stat tracking (fairways hit, etc. ), Green View, AutoShot detection and auto measure. Whether you’re in the city or on the trail, the f?nix 5X has on-watch mapping and navigation features that help keep you oriented and on-course at a glance. 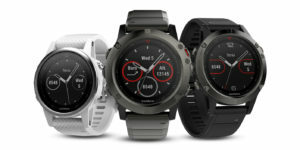 The Round-trip Run and Round-trip Ride routing options give runners and cyclists the ability to enter a distance they want to travel and have the watch suggest appropriate courses. Easy-to-read guidance cues provide banners on the display that show upcoming turn and the Around Me map mode displays locations nearby in a simplified graphical interface that increases awareness and ease when navigating in unfamiliar environments. The f?nix 5 also comes with GroupTrack, which allows you to keep tabs on your buddies for adventures such as skiing as well as LiveTrack, which allows your friends to follow your adventures in real time. The f?nix 5 is packed full of new features that let you go from workplace to workout without breaking stride and we hope that this has inspired you get outside and consider our new f?nix 5 series. Whatever sport you want to track, f?nix 5 has it covered. Don’t forget to share your adventures with us on Facebook, Twitter, and Instagram by using hashtag #HaveNoLimits. The post What’s New with f?nix 5 appeared first on Garmin Blog.